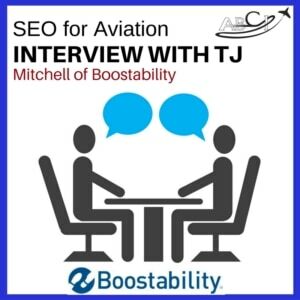 TJ Mitchell, a fellow Utahn and SEO expert, talks with us about how to improve organic search results, help customers find your website, how SEO is different for very niche companies (like aviation companies) and vintage Mustangs. Paula Williams: So TJ, I’m really glad you’re here today. I’m glad you could make it. I know you’re just down the road from us. TJ Mitchell: Yeah, of course. Glad to be here. Paula Williams: Yeah, you guys are in American Fork, right? TJ Mitchell: This office that I’m in is actually located in Lehi right at Thanksgiving Point. And then we do have a couple other offices down in Linden and Orem, as well. Paula Williams: Great, so we’re in Tooele so we’re actually only about 30 miles down the road from you. Paula Williams: I know a lot of people outsource their SEO to far, far away. Paula Williams: Have coffee or lunch one of these days. [LAUGH] We can actually do that. That would be cool. TJ Mitchell: Yep, yep. Yeah, yeah, a lot of the biggest SEO firms are definitely, even out of country. And here, Boostability in the United States, we’re one of the largest providers of SEO services, specifically for small, local business. That’s our focus, that’s our niche market and that’s what our system was built to support and serve was those types of clients. Most SEO firms are focused on the big, the Cokes and the Microsofts of the world and they run those kind of SEO campaigns. But we are very different and focus on the local and small businesses. And that’s our bread and butter. Paula Williams: Fantastic, well, I know John wants to probably hear about your 67 Mustang. [LAUGH] We’ve got our priorities straight here. TJ Mitchell: Sure, sure, yeah. So it’s kind of a crazy story, I was just a 19 year old kid driving around and I saw it for sale on the side of the road and talked my parents into wanting to pick it up. It wasn’t running and didn’t have working brakes at the time, but it was only $3,500, and after a quick kinda Google search I found out that you could get one with missing doors and all rusted out for about twice that. So I decided to jump on it, and $50 brake kit later and a carburetor rebuild and it was running and driving and everything was good. I’ve done a lot of work on it since then, but it’s kind of where it started. John Williams: Yeah, I had a girlfriend back in those days. In the 60s, 70s, boy, whose brother had a 67 and he loaned it to her and I told her I’d give it a tune-up. Well, it had a 390 in it, so I had to take the engine off the mounts, actually to get the [INAUDIBLE] done. But, great car, good running. TJ Mitchell: Yeah, it’s a lot of fun. I put a 302 engine in it. If it had the 292, I can’t remember what was in it. Yeah, 289, and then did a disk brake, power steering upgrade. So it’s got some safer parts to it, still just the lap belts, and no air bags and all that, it’s just a fun old car, so. John Williams: Yes it is, back then. We’re looking at buying a new Mustang convertible here in the next year or so. We rented one in Hawaii and those things are really nice. Paula Williams: Yeah, he fell in love with the car in about a week. I know that’s exactly why the rental companies do that is to make people drool over the car and then want one when they go home, so. Paula Williams: Yeah. Well, back to business. Paula Williams: How important is a SEO for a very, very specialized industry with a very small audience? TJ Mitchell: Sure, so I touched on it a little bit, just a minute ago. But our focus is those smaller businesses and for a small business that’s gonna have smaller audience, fewer hits to their website, fewer potential traffic and clients, that type of thing. We wanna focus our SEO for aviation on keywords that have purchase intent. And that’s one thing that our keyword research team looks at whenever they’re researching keywords. There’s search volume and there’s how difficult it would be to optimize for a keyword. A lawyer in a big city like New York or Los Angeles is gonna be a lot of work. But something specific, like a chimney cleaner out in Tooele, you’re gonna wanna focus on a term that’s very focused in on the purchase of the search word. So the example I always like to use is shingles. If you type shingles into a Google search, if you’re thinking about getting a roof repaired or something like that, you’re expecting to get roofing materials or a person to do it or Lowes and Home Depot will show up. But what you actually get is shingles the disease, which Google provides a lot more information about. Now that’s based on user information, Google has found that when people type that in they want information on the disease. So a better search to optimize for if you’re a roof repair contractor or something like that, is the longer tail version or the more specific version, roof repair contractor Tooele, Utah. You’re gonna want to optimize for that because yes, only 5 or 10 people might look for that a month compared to the 50 that look for shingle supplies or something like that but. Paula Williams: The disease that they’re offering vaccines so there’s probably a lot of WHO information, all kinds of crazy stuff. TJ Mitchell: Yeah, exactly, but those five to ten people that are typing in roof repair contractor Tooele are looking for your business to come and provide that for you, so. And it’s a little bit more likely that they’re gonna end up calling you and using your services because you’re gonna provide exactly what they’re looking for. So if somebody’s looking for an engine overhaul for a turbo prop aircraft, it’s very specific. But the few people that are gonna type that in are very likely use your service. And depending on the term that you optimize, that could pay for your SEO. Just one customer could pay for your SEO for the month or for the year, depending on how expensive that project or that call ends up being. So, that’s kind of one of the great things about Boostability is we really focus in on what’s best for the business and match those keywords with the business goals of the owner. We’re not gonna necessarily dictate that you have to do it a certain way, certain terms. We definitely take the business’s input very seriously. But we’ve done this for tens of thousands of clients now. We’ve run, I think over 100,000 campaigns total. We have about 17,000 active clients right now, and we’ve got a lot of research and data to pull from, from all of those campaigns, and what worked and what didn’t. TJ Mitchell: And these longer tail terms, for most business owners are not intuitive, they think well I’m, if I’m a chimney repair man, I want to go after chimney Tooele. But it may not necessarily be the best term to go after. It may be targeting three or four of the longer channel specific service terms actually ends up being better for the business and gets you better results and a better return on your product. How is SEO for Aviation Different? 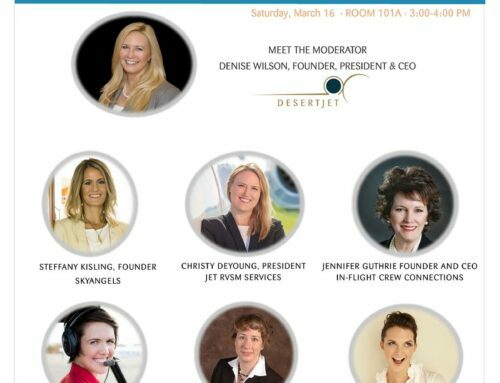 Paula Williams: Right, one of the things that we tell our clients is that in the niche SEO for aviation businesses that they are in, in a lot of cases, having a thousand users, where a thousand visits per month is all you need as long as it’s the right thousand visits. And you do need some volume, but it has to be the right volume, so I think you’re on the right track with those really targeted keywords. And what really impressed me, when we started working with James on a project for a client we gave him a spreadsheet of all of the keyword research that we had done and he came up with a couple of keywords that we hadn’t anticipated and he gave us some really good reasoning why he wanted to use those. And it ended up being a really good choice and I think it’s because of your guys’ expertise that SEO is something that we’ve done for a number of years but it’s not the only thing that we do. You guys focus on SEO being at core competency and that really makes the big difference, I think. Right. So there’s a lot of people selling SEO. We get all kinds of telemarketing and spam. It seems like not a day goes by that I don’t get some kind of an offer for some kind of an SEO deal where somebody is going to get me to the first page of Google. What’s important to know. About evaluating the people that call and offer to do searches and authorization. TJ Mitchell: Sure, the first thing, and I would tell this to a current customer, a potential customer, or just somebody who’s enquiring about our services. There’s a few questions that you really want to make sure that you ask or that you are skeptical of a provider that’s coming and giving you a proposal or giving you information. And the first of them is how quickly they talk about getting results. Or how quickly they say they’re gonna get you to the first page. In the SEO world, there’s kind of two types of tactics. And there’s white hat SEO and there’s black hat SEO. You know, it’s really as simple as it sounds. The Black Hat tactics are frowned upon in the industry, but also the ones that can get you in trouble with Google, the ones that you’ll get you removed from search results or a manual penalty or action taken against your website. 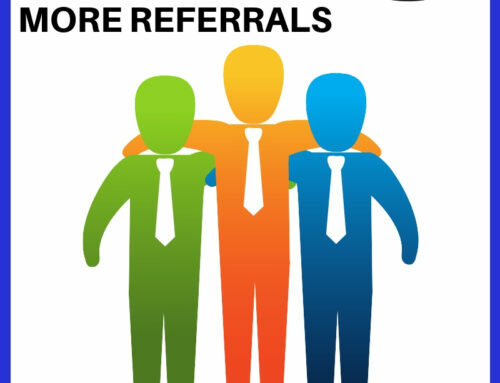 A lot of the companies that you see come in and say, 30 days, we’ll get you on the first page. They’re gonna be using tactics that are spammy, that are not natural or going to improve organic search. And they’re gonna end up damaging your website more down the road, potentially, then the tactics we follow. We follow all of Google’s guidelines, we use SEO tactics, and we want to make sure that we do it the right way so that your placement on the search results when we get you to the top of that page, is. Solid, stable, and it’s gonna hopefully remain there for a long time, and so part of that obviously is our timeline for expectation is lower. And we say 3 to 6 months before we expect to be on the first page and so obviously a firm coming in and saying, hey, in 30 days, we’re gonna get you there, it sounds very enticing and it’s a very common thing to hear. But it hurts me to hear it because i just know the tactics that they’re using aren’t gonna be great. They’re not going to get any improvement in their organic search results. It’s an unfortunate side of SEO that there are ways to abuse Google’s system, in certain respects and kinda get around doing it the right way. But the way that Boostability does it and the way we focus is, we want to make the best website possible. And, really our goal is the same as Google’s in some respect. So Google’s goal is to provide the best results for a certain search, right? They wanna provide the best website. And the best answers. Well, our goal is to help your website be that best answer. So really, we’re right in line with what Google wants to do. We’re not wanting to spam so many links that we trick Google into thinking you’re the best website, and improve organic search for you. We want you to, with our recommendations and our help, to make you the best website. And it’s just a different concept of SEO. TJ Mitchell: So that’s really the biggest thing, is just really that timeframe. The other thing that you hear a lot is talking about the number of links. And if they say they’re gonna build 30,000 links for you, or 10,000 links for you for only $99 or something, that’s another side that you really want to avoid. Just spamming links out there is not great. There were a couple Google algorithm changes. It’s been a few years now, but 2013 was kind of the big year when that happened. It was the Google penguin algorithm update and anybody’s welcome to Google it. I’m sure there’s tons of information out there on it. But essentially what it did is it tweaked the way Google was looking at links and how links pointed to websites in order to help them identify which links are more spammy or if we faked link tactics. And so these big link networks and websites that just spam these thousands and tens of thousands of links to your website, they are very easily identified by Google. 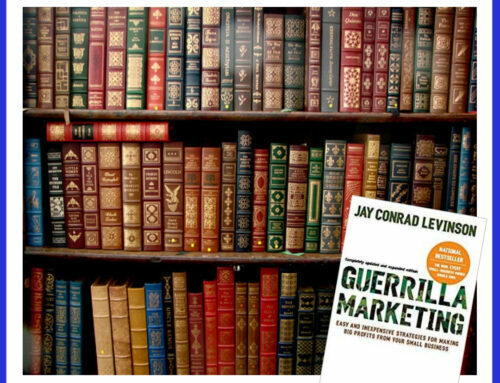 They’ll shoot you up to the first page very quickly, because the impact initially is great. But then when Google finds the links and finds out it’s basically a link network, you’ll get a manual penalty or you’ll be pushed off results. And then you have to fight to get your website even back into the search results, and even then you’re not always back on the first page anytime soon. John Williams: So, speaking of that approach. So, this is sort of throwing a curve ball, but I like to do that. John Williams: [LAUGH] Well I don’t need any proprietary information here, but whatever you can say. How do you determine which words to optimize for for any given website? TJ Mitchell: I kinda touched on it a little bit. I’ll get into specifically the factors though. Really there’s two primary factors that we look at, it’s the search volume of the keywords and the competitive of that industry are keywords. There’s a great tool for PPC called Google AdWords,it does a lot of keyword planners and keyword research tools, we actually use that to research keywords as well because Google has tons and tons of user data, right? And they make some of that accessible through that keyword planner. So we’ll take the recommendations from the client, we’ll brainstorm a bunch of our own ideas that we usually see related to those terms and we enter that all in the keyword planner. And we try to narrow it down to ones that do have search volume, that have searches going there. Once we’ve got that list and it has all of the terms that we’ve brainstormed and the search volume, then we’ll then narrow out the ones where we think the purchase intent or maybe the intent of the search might not be right on point with where we wanna be, and we touched on that earlier. TJ Mitchell: And then at that point we’ve got a list of terms that we think we’re good to go with. We’ve got some tools and some stuff that it’s getting harder and harder to judge and determine, but we also then try to judge the competitiveness of that search term or that industry. I mentioned it earlier. If you do a search for a lawyer in New York, and just do a Ctrl+F or a search and look at the title tags of all the websites there, almost every single one of them, probably in the top 100, are optimized for lawyer, New York I almost guarantee it. I haven’t done that one specifically myself. So that is an indicator that there is a lot of people that have not only optimized their website for SEO, but are probably actively link building, actively trying to increase the authority of their website. They probably have an on-site blog, they’re doing the whole nine yards. And so it’s gonna be a lot more competitive, but if you go to do a term and you search for the optimization and you look at the search results, and you look at the other websites there. And if none of them are really optimized for that term, it’s not very competitive, and it’s gonna be a little easier for us to go after and get those results a little bit quicker. So you try and kind of balance all of those things, with really just hitting a keyword that has search volume, but people will purchase something. But it’s reasonable with the competitiveness of the budget that we have, right? Those big law firms in New York are probably also spending thousands or tens of thousands of dollars on their SEO campaign whereas as a small business you probably gonna be spending a few hundreds maybe. So we want to obviously balance what we ca achieve, with what your budget is, and get the best results we can, that kind of balancing act. What are the Biggest Changes in SEO for Aviation in Recent Years? John Williams: Cool, and I’ve got lots of questions but basically, what has been the largest change or changes in the last couple years on SEO for aviation? Or niche B2B companies? TJ Mitchell: Sure, so, I touched on one of the major, major changes. I was in the account management side of Boostability is where I started. And back in 2013 when that Google update happened, that’s where I was. And I had a lot of clients impacted by that, that they had either done previous SEO work or even unbeknownst to them they had somehow gotten a link from a website that was then less then reputable, according to the new algorithm change by Google, and they had ranking issues after that. So problem solving the solutions to that and the very manual process of having to try to delete links that are damaging your website’s authority. Which is basically a manual email outreach to each of those web masters, requesting that they take the link down. And if they don’t take it down then there’s another process through Google in their search console that you can basically disallow or say, actually, I don’t want that link associated with my website. But then Google also has to manually review that and decide whether or not to take that into account. So that Penguin update was very very large, and looming there, the other animal update, Google likes to name their updates after animals, that you hear a lot about is Panda. And Google Panda is all about content, it’s how Google judges text on websites. They decide what is quality and what isn’t. They put together a lot of processes around that. And so, really, if I had to summarize the last three years in SEO, quality of the website is the biggest thing that they focused on. I know, based some things that Google says outwardly and then just the actions that they take, that they wish, ideally, they could judge websites solely on what that website says, just the text on the website. Now that’s hard to do for a bot or an algorithm, but they’re getting closer and closer to being able to use just what’s on the website to judge it. And then use other factors like links that are pointed and social media interaction and things like that to help kind of also say okay, if you have two websites that appear equal in quality, this one’s a little bit more authoritative because more websites point to it. Or more people like their Facebook page, or whatever that factor may be. But ultimately that’s where Google’s at. They wanna judge your website for what you say. And so again, I kinda touched on this earlier, our primary goal is just to make the best website that we can for you. We’ll encourage you to build out more pages, to provide more information, both to Google but also to your site users. The more questions you can answer, the more likely they are to stay on your website, bookmark your website for later, refer it to a friend, come back to it later, all those types of things. So that’s really where we come from, and that really just kind of summarizes, I think. The only other small thing I’d like to hit on, a lot of people haven’t heard about is, Google Rank Brain. And essentially it’s an artificial intelligence that they have integrated into their algorithm that helps make judgment calls about search results. A bot or a algorithm or a computer is very linear, right. It’s only able to run the program the way that it’s programmed to run it. So it’s not able to make decisions, but Rank Brain, with Google’s artificial intelligence division playing into that, is able to look at search results. I think it analyzes user data and a lot of other factors that can help businesses determine which website’s better in a search result. Which is very new and obviously again kind of plays into that, being able to judge the website in and of itself, so that’s the biggest thing. I know it very quickly went from being added to the algorithm to being one of the top factors in ranking now, actually. John Williams: So let me ask one more question that, this is just me, I guess, but I think people might be interested. That is, due to the fact that some larger firms will spend 10 to $20,000 a month or whatever or SEO results, and small guys can only spend up to 1,000 or maybe 1,500 a month, or whatever. What is, without getting into the weeds and without going proprietary, what is the difference in what you get for say $1,000 versus $10,000 a month, what’s the difference? TJ Mitchell: Sure, so, here at Boostability, the difference isn’t all that much. Honestly, the dedicated level of service that you get will be higher. At the higher price point we’ll have what we call a premium account manager dedicated to your account. They’re the best of our best there to serve you. But the ability to be so scalable and efficient is the way our internal system works, and a $10,000 client has access to all the same tasks that are in our system that $1,000 client does. Obviously, we’re able to do more of them. But as I kinda talked about, more isn’t always better. So we would focus primarily on higher-value actions. We probably also want to utilize our writers for our on site blog. Products, things like that, but they do cost a little bit more to do per task. But we’d be able to do multiple of them instead of just one, like most clients get. On site blogs is really the biggest area, I would say, when I’m looking at the difference between our client or a competitor, is usually how engaged they have of an on-site blog, how often they’re posting. And that’s a great way to have fresh content on your website. Google likes websites that are constantly updating. So we would just hit some of those products more here directly at Boostability. Now in general, there’s our service which is very efficient, it’s very scalable to small businesses. And then there’s kind of boutique, or custom, in-house small SEO. A lot of those boutique or in-house SEO companies would be very focused on touching every page of the website and tweaking things all the time. And while there are positive benefits to doing that, our focus is gonna be to hit the most important items for us to get you results for the keywords we’re working on. So we focus in on the page, or a couple pages, and then move forward, so. Paula Williams: That makes perfect sense, and one of the things I think about the partnership between ABCI and Boostability, is that when you do a content package with us and SEO for aviation with Boostability, then you get the very best writers in the aviation world. People that write for Flying Magazine and AIN and the other magazines, as well as the technical expertise of Boostability. So that’s one of the reasons I think the partnership is pretty unique. That you’d get that content that is gonna be really credible because we’re using writers that aviation readers are familiar with. And writing in a way that’s credible to an aviation audience to fulfill that purpose that you mentioned in terms of keeping the content fresh, publishing to your website and so on. TJ Mitchell: Yeah, content, it’s an old saying in the search optimization world that content is king. TJ Mitchell: It’s 100% what you should focus on, making sure that you’ve got quality information there for your customers. Really Google’s focus, the same as yours, you want a customer to come to your website and find what they need and be satisfied with their visit to your website. Well, in the same way that Google doesn’t want to send somebody to a website that’s not gonna answer their questions, because then that user won’t come back to Google. They’ll go to Bing or Ask or somebody else, and then Google loses out on potential money. 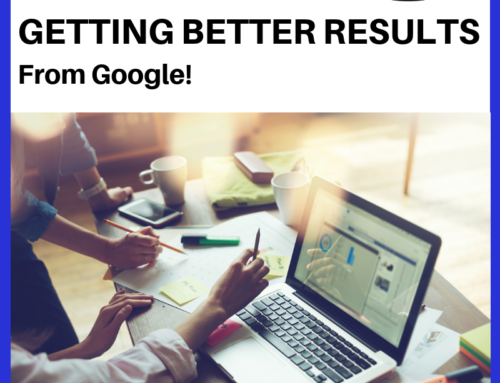 So they wanna provide the best results and you wanna be the best result, so it kind of again, a lot of people think, well, why doesn’t Google rank me, or why don’t I show up, and why is this so hard, why does Google hate me? TJ Mitchell: Feeling that we get sometimes, and really, you have to put yourself in that same frame of mind as Google, and their users are the most important. And while yes, you think your website is most important, you have to take a critical look, make sure that you are providing the best information. And then look at your competitors, and just really be critical of your own website, and decide, is my me website really the best results? And if it’s not, do what you can to make it better, because Google’s gonna send their users to the best place, because they want them to come back. Paula Williams: Right, so putting together an editorial calendar having good content that you’re publishing on a regular basis and you’re immediately ready for people, not for machines, right? TJ Mitchell: And that’s one thing that people separate a lot of times as well. They’re like, well I want to optimize it for Google, but I don’t want to change things for users. And it’s like, it’s really one and the same goal, they’re shooting for the same thing you are, you just have to make sure you’re thinking about it the right way. And that’s what our account managers do a great job of as well, is just put people in the right frame of mind with regards to keyword selection and task and all that. John Williams: And you’d be surprised how many people don’t understand your last statement is one in the same. 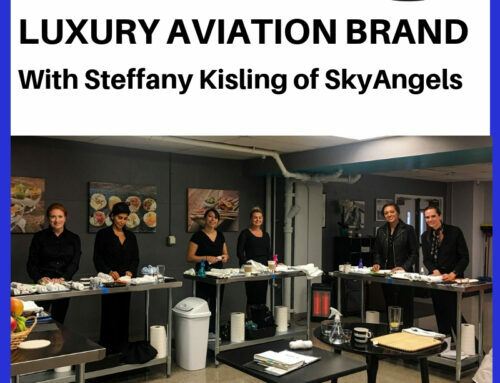 Paula Williams: So if we could boil this down to maybe one or two steps, or key things that you would want to leave people with, what tips do you have for people who want to improve their SEO for aviation companies? Obviously besides contracting with ABCI and Boostability. TJ Mitchell: Sure, yeah. So, like I said, really just focusing on your websites, catering, each part of it. Each header, each title of the page. Even down to alt image text. Think about the purpose that it’s built for and just do the best to cater that to your users. Something like an alt image tag is a great kind of example, right? It’s something that’s often used for SEO. But if you Google or look up the purpose of the alt image text, it’s for the visually impaired, it’s to provide them with audio that can be played to let them know what the picture is of. So write the alt image text with that in mind, now usually that’s gonna be the description of the image and so when the Google bot crawls that, it’s gonna also glean information that can rank your website ultimately overall as well. But again, Google has the same goal as the user. And just make sure that you’re doing the best to make the best website that you can. In this day and age, a website with your address and phone number on it just doesn’t cut it anymore. So it needs to be engaging. It needs to have updating and fresh content, the best information. And really you almost, I say this is kind of sensitively, but you almost can’t put too much information on your website. If you have a topic that’s not really covered well on your website, add a page really expand on that. Do things like that. And then obviously somebody like Boostability, that can provide you that off site link building support and specifically catered keyword optimizations is great as well, but really it’s just focusing on making your website the best that it could be. And if it really is the best in your industry or the best in your area, Google will reward that for the work that you’ve put into it. John Williams: You know that’s interesting. I just learned something that I didn’t know. Well there’s lots of things I don’t know. But I come from the day when I used to type HTML into Notepad and so forth to create a website. And I’ve created some well-known websites for some consulting companies. And the alt tags, I never did, because [INAUDIBLE] they were just something you had to fill in and to know that’s what they use it for now, that’s actually makes a lot of sense is why you want to make sure those are correct. TJ Mitchell: Yep, yep, exactly, yeah. And really, if you think about the type of description you want for a visually impaired user, I mean, a Google bot is essentially a visually impaired user [CROSSTALK] as well. TJ Mitchell: It can’t see images. It can’t see formatting and pictures. It just sees text. And so, it has gotten better at analyzing code and knows that this code should look like this. But pictures is still something that’s tough for those bots to view, cuz they’re just not a person, and so catering it for that type of purpose, it really makes a lot of sense. Paula Williams: That’s cool. All right, well thank you so much for spending some time with us. I think we learned some things, and hopefully everybody who’s listening learned some things. And of course, we’re all at your service if you have any other questions, or comments, or anything like that. You can reach us on our Facebook, LinkedIn, Twitter, and blog, and TJ, how can people reach you? 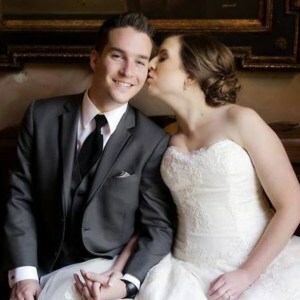 TJ Mitchell: Sure, yeah, I’m a partner manager here at Boostability, so anybody can just check out Boostability.com, obviously or reach out to you guys, if you have any direct questions about SEO with ABCI and Boostability. Paula Williams: All right, thank you so much and I’ll think we’ll call that a wrap.